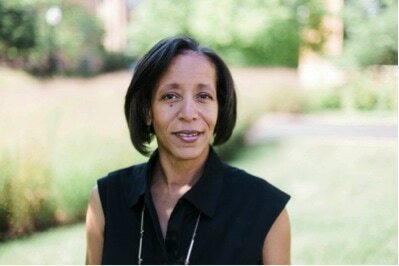 Pamela Bozeman-Evans, M.P.A., has held a number of diverse positions in nonprofit organizations. Ms. Bozeman-Evans is the Senior Director of North Park University’s Career Development and Internships Office. Prior to joining North Park she served as the Chief Operating Officer and Chief Strategic Initiatives Officer for YWCA Metropolitan Chicago. Bozeman-Evans has held several nonprofit leadership positions including Blue Gargoyle Executive Director, and Senior Program Director for Gary Comer Youth Center. She also served as the Volunteer Coordinator and Chicago Director for Senator Barack Obama, and as the Associate Dean of Students in the University and Director of the Community Service Center for the University of Chicago. Additionally, Bozeman-Evans served in key management capacities at the Women’s Self-Employment Project in Chicago and the Institute for Social and Economic Development in Iowa City, Iowa. She received her BA in Corporate Communications and a Masters in Public Administration from Northern Illinois University. Bozeman-Evans is a Chicago native. Our diversity is what makes us stronger! Come out for pastries, coffee, and a conversation about the importance of diversity in social impact companies and the workplace. World renowed speaker Pamela Bozeman-Evans explains how diversity in a nonprofit's staff and board in particular, can increase your organization's effectiveness, bottom line, and impact in the community! This will be an informative event for existing and newly formed organizations! Attendees of this event will also have time to network. Registration is now open on Eventbrite by clicking here. ​ Read Ms. Bozeman-Evan's bio on the left. Individuals pay $ per person for the Annual Awards Luncheon. An adviser will contact you within 2 business days.